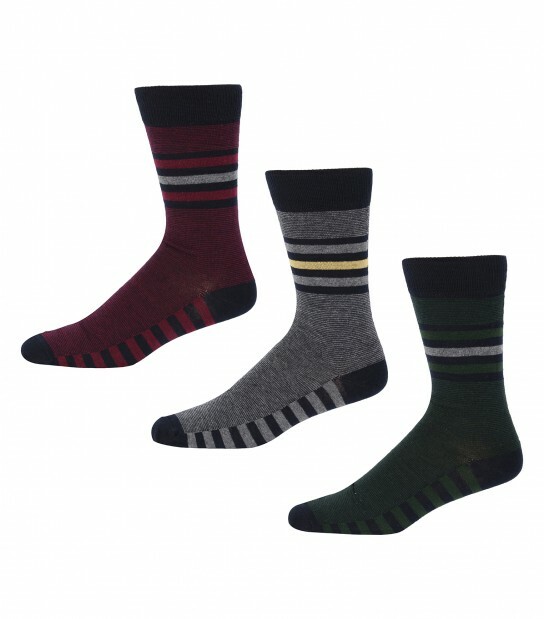 Update your sock drawer with our Pontet 3 pack socks from Ben Sherman. 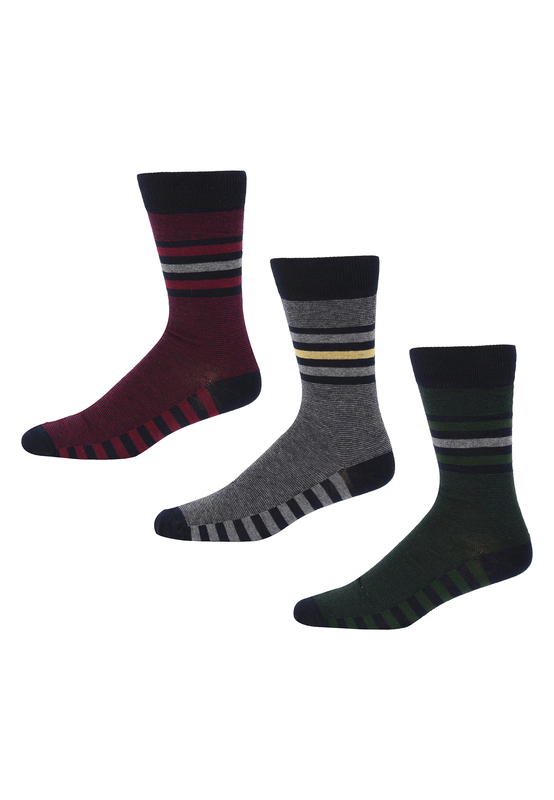 With a modern Stripey design on each sock, the set includes a Grey/Navy/Camel pair of socks, a Red/Navy/Grey pair of socks and a Green/Navy/Grey pair of socks. All socks have then been finished with the Ben Sherman branding on the underfoot.